We're eagerly awaiting your letters, notes, messages, and comments, so don't pass up this chance to make your name immortal. Write to Five Star Comics today! Five Star Comics #1 is ready at last! After months of preparation, Five Star Comics is in print, featuring five stories, each with its own Golden Age hero. 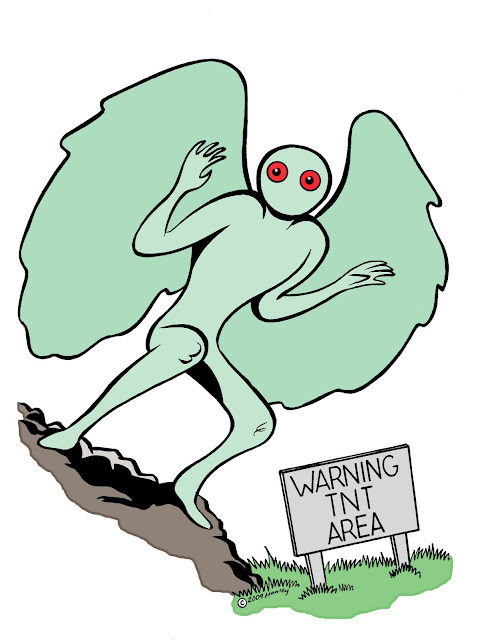 The book starts off with a tale in which Moth Man the Golden Age character meets Mothman the paranormal creature. 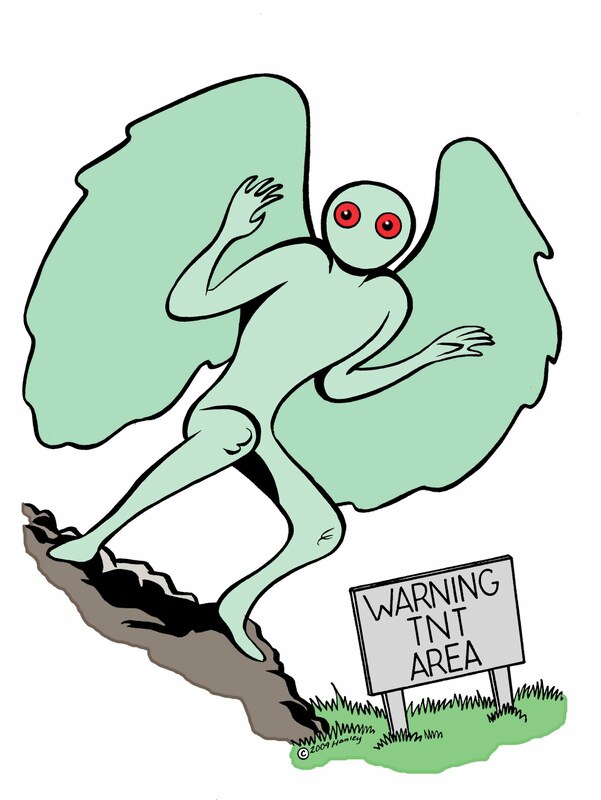 Find out how Mothman gained entrance to our world by reading "Moth Man Meets Mothman" by Terence Hanley! Next, Silver Streak returns to the comics where he crosses paths with his own great-granddaughter, a new heroine called Missile. Together they go up against King Chronos. Read "Yesterday and Today" by Larry Blake! Marvel Maid is up next in a story in which she must face a threat to our very own Earth. She's not alone, for two small boys and even Albert Einstein are on hand to help. Find out what happens in "Agent of Doom" by Terence Hanley! Flip Falcon makes his first appearance in the comics in almost seventy years in "Flip Falcon in the Fourth Dimension". In this timeless tale, written by Jordan Lowe and drawn by Gary Gibeaut, Flip runs into a mad scientist and his demonic minions from another dimension. Read the full story in Five Star Comics. Finally, Cave Girl, inhabitant of the forgotten Dawn Lands, sets out on an odyssey to rescue a helpless baby from his kidnapper. On her journey, she must avoid all the perils of a land populated with dinosaurs and even more monstrous creatures. You'll discover how it all turns out by reading "Cave Girl" by Larry Blake, Gary Gibeaut, and Terence Hanley! Five stories filling 37 pages--and no ads--plus a full-color cover and a preview of The Black Bat by Matt Marshall, on sale beginning Saturday, September 17, 2011, at The Mothman Festival in Point Pleasant, West Virginia! 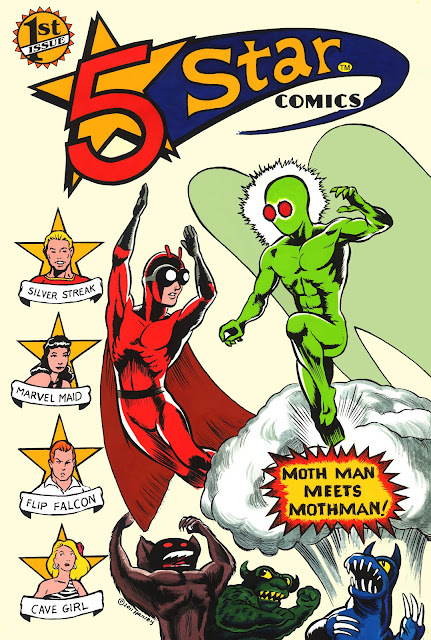 Five Star Comics at the Mothman Festival! Cave Girl Comes to Five Star Comics! Cave Girl, denizen of Gardner Fox and Frank Frazetta's Dawn Lands, is the newest addition to Five Star Comics #1! Our Cave Girl story arrived at the last minute, scripted, penciled, lettered, and inked just two weeks ago in a marathon artists' jam session spread out over two days. You'll find art by Larry Blake, Gary Gibeaut, and Terence Hanley in the story, called appropriately enough "Cave Girl!" Look for it this week in the first issue of Five Star Comics! Marvel Maid in Five Star Comics! Marvel Maid, a one-shot Golden Age superheroine, is back after six decades and starring in her own story in Five Star Comics! The story also features two little helpers, as well as Albert Einstein himself. Also, in cameo appearances, look for Orson Welles and Joseph Cotten. Five Star Comics #1, out this week! Here it is, your first look at the cover of. . .
Moth Man! Silver Streak! Marvel Maid! Flip Falcon! Cave Girl! Matt Marshall has been interested in comics and illustration since he was a kid. Over the past few years, he has created three Mothman poster designs for the annual Mothman Festival in Point Pleasant, West Virginia. 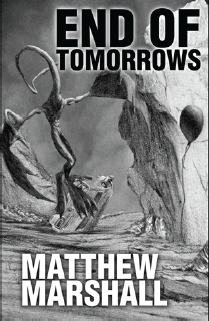 Matt is also the author and illustrator of a Mothman novel, End of Tomorrows, published in 2010. You can order the book straight from its publisher, Publish America. As a Five Star creator, Matt is working on two stories based on a pulp fiction character from the 1930s and '40s. His work is unique, like nothing you have seen in the comics lately. The first of Matt's two stories will appear in the second issue of Five Star Comics, due out in time for the Small Press and Alternative Comics Expo (S.P.A.C.E.) in Columbus, Ohio, April 21 and 22, 2012. Our hearts, thoughts, and prayers go out to Matt Marshall and his family. Matt's mother, Donna Rae Marshall, passed away last week and was laid to rest this week.